I am toasting the middle of August this morning with my cup of coffee and hint skim milk. 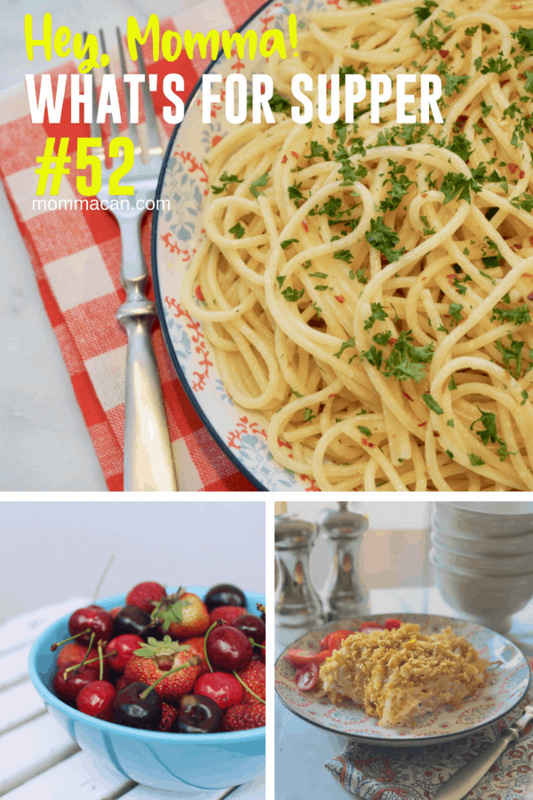 This is post #51 of our Hey Momma, What’s for Dinner with Cheap Back To School Dinners. I am excited to share our menu and ask a very important question. Are you and the kiddos organized for this school year? Are your child’s room and study are ready for the new school year? If not we have a free challenge course just for you! 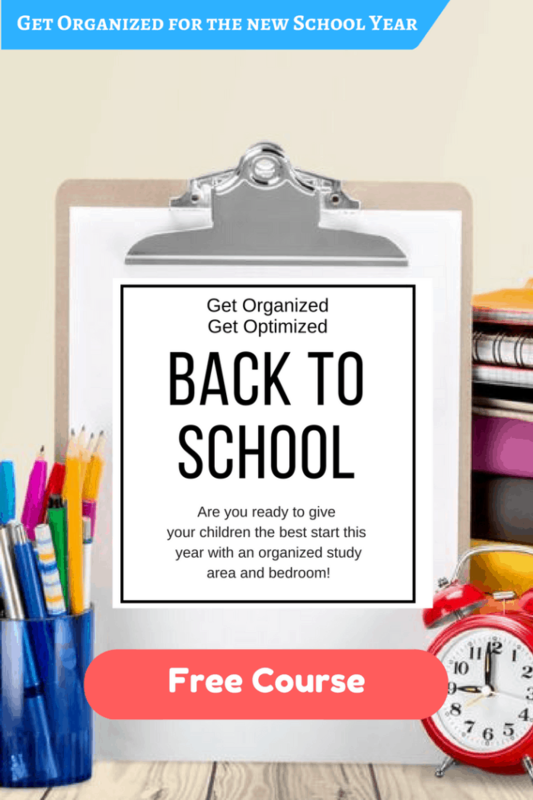 Get organized with our organize and optimize back to school challenge. Simply daily challenges that will get your kiddos ready for the best school year yet! Already started school? No big deal, but organized now then never organized. 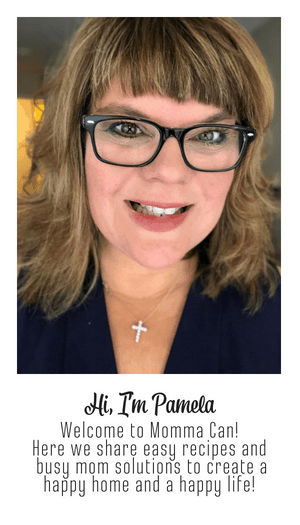 Feel to overwhelmed to begin? No problem, the steps are simple and older kids can help or do the challenges ON THEIR OWN! Sign up here for the FREE COURSE! We are booting up our family journey today! Each year we let go of the outgrown stuff and books that we can hand down to younger kids. I am always surprised at how much clutter we let go of each year to make room for much-needed growth in learning. Not to mention outgrown clothes and shoes! With the idea of getting the house ready for a successful school year, dinner is going to have to be quick. 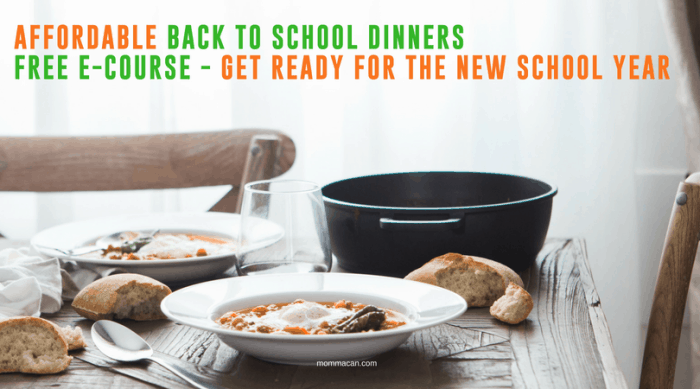 With the added cost of a new school year, dinner is going to have to be cheap. Yep, cheap, cheap, cheap. The one place I can always squeeze an extra nickel seems to be the food budget. Tuesday – Quesadillas with Shredded chicken, cheese, and some scallion for flavor. Simple but good when you add some serious chili, garlic, and cumin to the chicken. I grab a Whole Roast Chicken from the market, debone and shred or chop the chicken depending on my mood. Then I squeeze the juice of 1 lime and sprinkle some chili powder, cumin, and garlic. So Good! Add salt, if you feel the need. Wednesday – DIY Sandwich Night We are crazy busy this day. THis is a perfect day for DIY sandwiches. 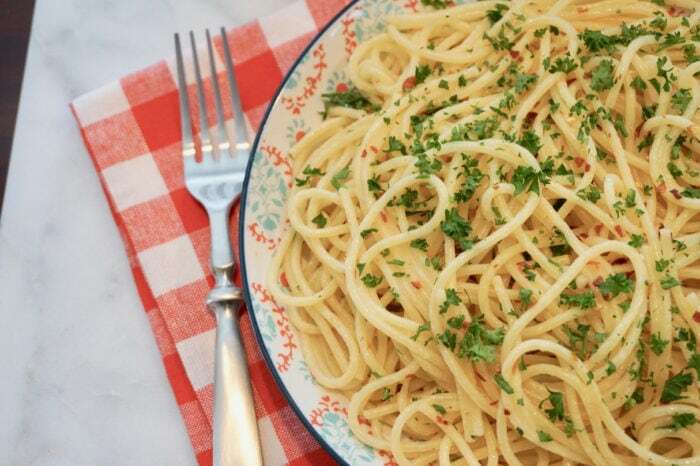 This is so easy and a family favorite. I just buy cold cuts, cheeses, and slice up some tomato and red onion for a sandwich feast. Kettle chips are a fantastic side and a real treat. Thursday – Grilled Meat – I know this is general. I pop over to the market and look for the best deal. If I find some amazing steaks, then we will eat steak. If there is a crazy good deal on pork loin… well you guessed it pork loin. I just know after all these meals with pasta and bread it is time for a good meal with Meat and vegetables. I keep a big bag of frozen vegetables from Costco. Even the organic frozen is a great deal. Grill the meat, cook up some vegetables and we are eating in no time at all! Saturday – Hotdogs On Grill with Salad and my amazing Spicy Hashbrown Casserole also known as Funeral Potatoes.